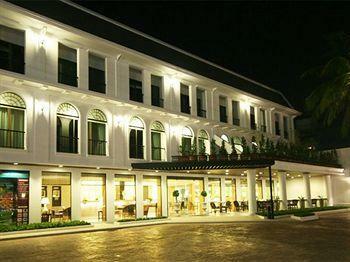 Description: Naiharn Garden Resort Vil & Spa. We are a peaceful resort comprising 23 Houses and Bungalows set amidst 8 Acres (3 Hectares) of naturally laid out gardens and water features. Description: Ekkamon Mansion offers air conditioning and a Fan room (no airconditioning), cable TV, refrigerator, Kingsize Bed, Closet, Electric Shower in the bathroom, Balcony. Wireless internet is optional (100 Baht/stay). Parking and Laundry service is available on the ground floor. Description: A Zone Hotel is a brand new boutique Hotel, that is Finnish and Swedish family owned. Located near Jungceylon Shopping Centre in the center of Patong Beach and close to all the attractions, 10 minutes from Patong Beach, only a 5 minute walk to the vibrant nightlife of Bangla Road. Description: Situated in Kalim Bay, to the North of Patong, Phuket. This Mediterranean style, 4 storeys hotel, has 31 air-conditioned rooms and terrace’s over looking the magnificent Andaman sea. Description: This new hotel, situated 500 meters from the famous KATA BEACH very nice and clean, with Italian staff, has all modern comfortables rooms with private bathroom, air conditioning and fan, private balcony, cable television, telephone, saftybox, WI FI access for internet connection and more.